Julie's communal count had us counting milk and kilometers in September. 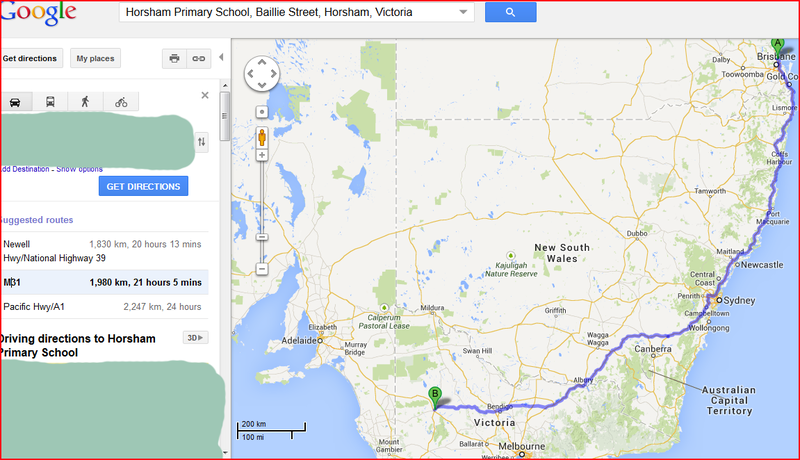 As you can see, my current home is 1980 kilometers from my first school. Just for fun, I wanted to check how far my house was from school when I attended the school. 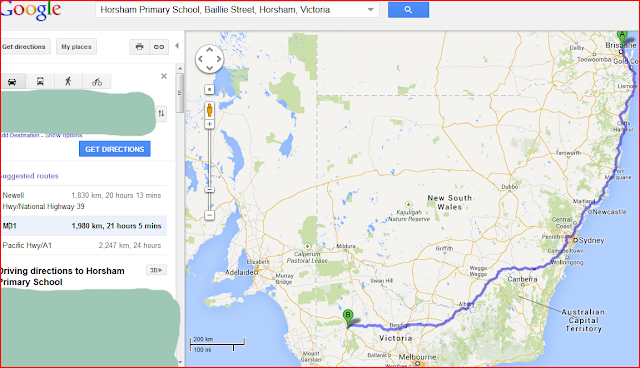 On this map, home is B, school is A. 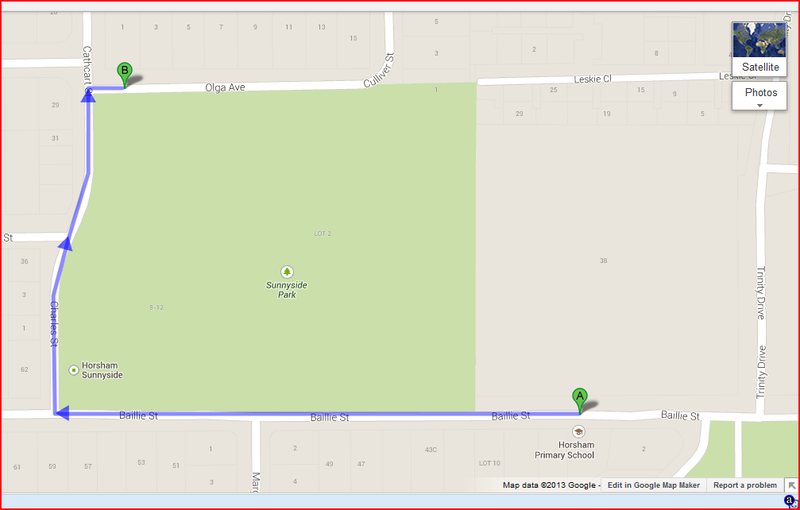 But even quicker when you go down the back entrance, off Olga Avenue. As for milk, we drink Pauls Trim, and buy 2 litre bottles. We pay $3.69 per bottle, and in September, we went through 11 bottles. Now to start counting for October, I've already got one piece of mail directly addressed to me!